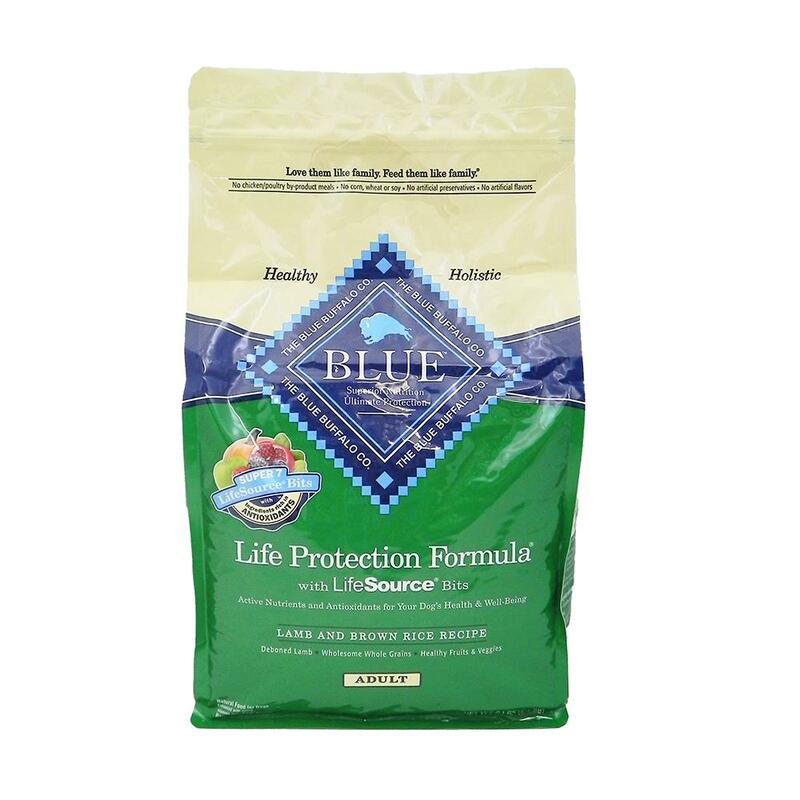 Blue Life Protection Lamb and Rice formula for dogs is an excellent food that provides superior nutrition derived from wholesome ingredients. Blue has created a formula that contains LifeSource® bits, which are tiny morsels full of antioxidants taken from 7 nutrient dense foods: Apples, Blackberries, Blueberries, Cranberries, Pomegranate, Pumpkin, and Spinach. These little bits help maintain cellular oxygen balance because they are "cold-pressed," meaning that during the manufacturing process, these mineral and vitamin rich bites were not exposed to high heat in an effort to preserve their integrity. Blue Life Protection also does not contain any chicken by-product meal, corn, wheat, soy, artificial preservatives, colors, or flavors. If you are looking for a food that promotes healthy muscle development, a healthy skin and coat, and an optimal immune system, feed Blue Life Protection Lamb and Rice formula. You and your canine will love the results!